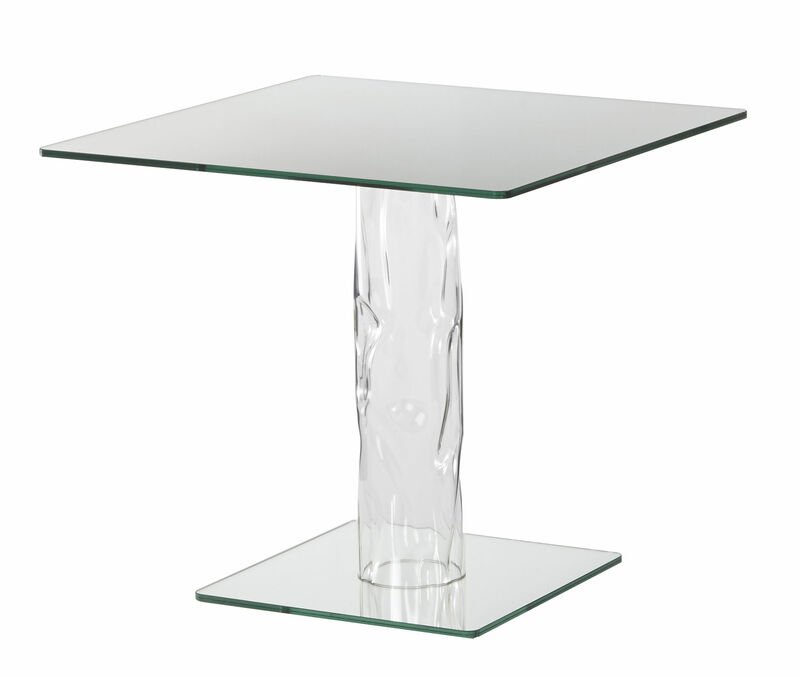 Square bistrot tables with 6+6 mm. 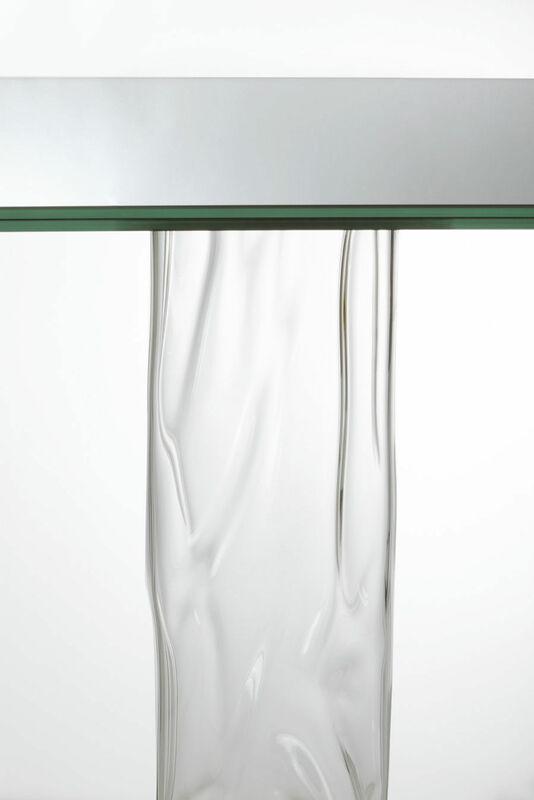 thick laminated mirror top. 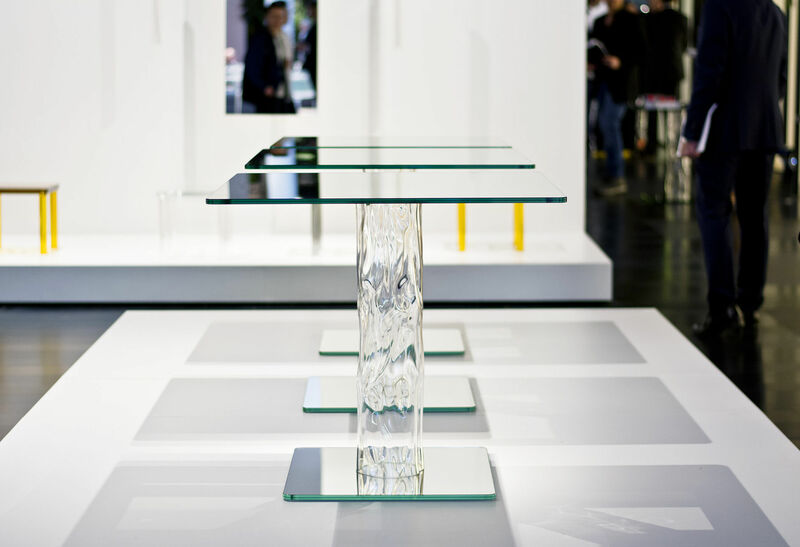 The base is created with a foot, also in laminated 6+6 mm. 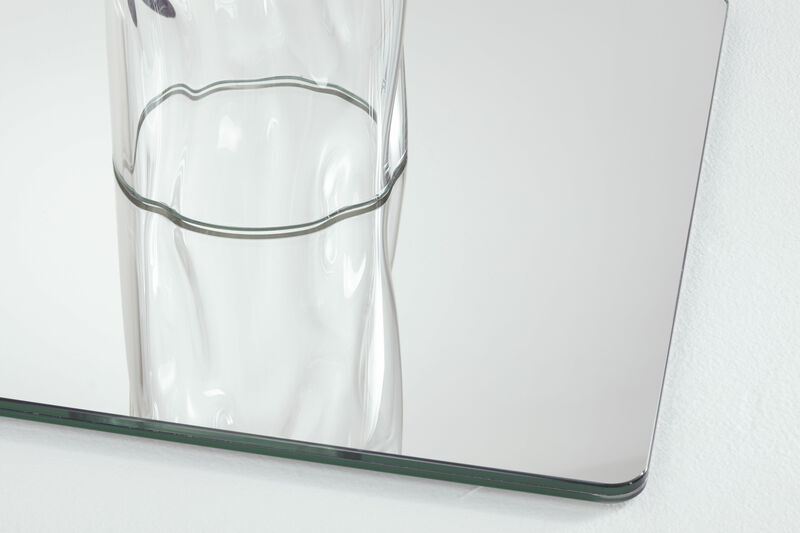 thick mirror, to which a hand-shaped individually made and unique borosilicate glass tube with an organic and irregular shape is glued. Base and top are assembled using a pair of threaded rings in glossy chromium-plated metal. 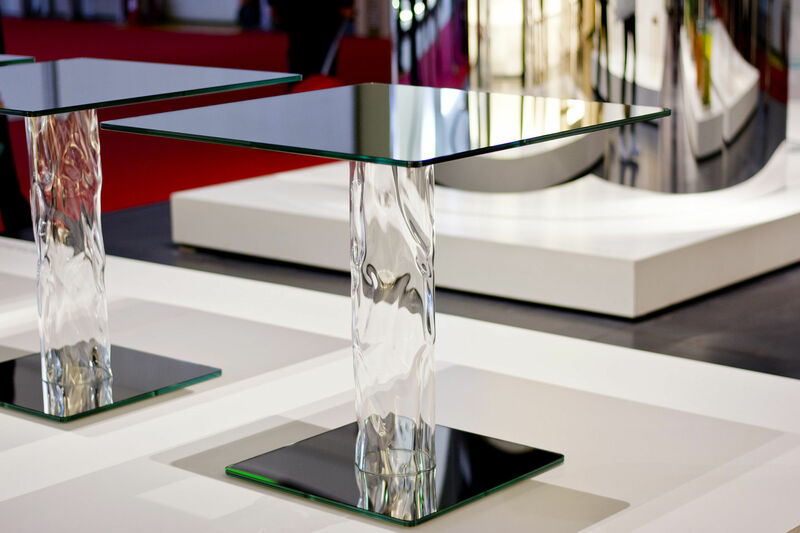 Thanks to its mirrored finish, the underside of the top interacts with the base, creating a play of reflections and giving the optical illusion of great depth.